It’s an assault on my sensibilities! Alprazolam (aka 8-Chloro-1-methyl-6-phenyl-4H-s-triazolo [4,3-α] [1,4] benzodiazepine) which is a triazolo analog of the 1,4 benzodiazepine class of central nervous system-active compounds. I would read the ingredients on the labels of over the counter medicines, squinting my eyes nearly shut and struggling to pronounce the hieroglyphics-- f-f-f a-a-z-O-d-Y-tin-ALL I want to know is exactly what is this ingredient and where did it come from. By the time I was an adult, I had fallen into my father’s footsteps and was pumping my family full of meds like a good mother was expected to do. And even though I started my career as a trial lawyer and could dig for information and come back with answers faster than the CIA, I swear to vetiver, I still couldn’t figure out what exactly was in the western medicines. When I started using Essential Oils, my body responded in a way that it never had to the synthetic, manufactured “medicine” I had been taking my whole life. 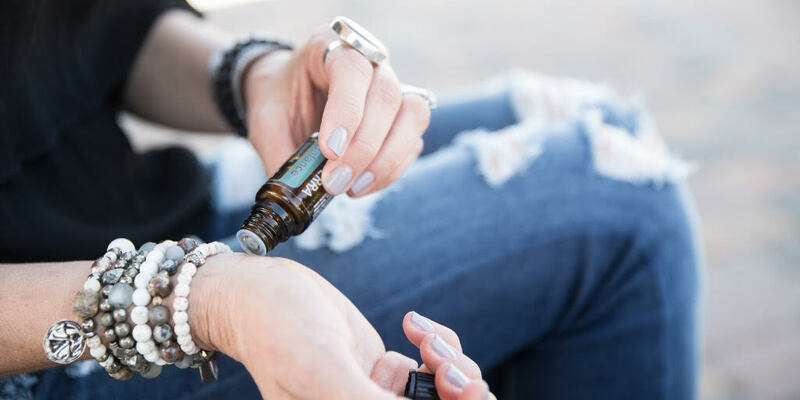 I am a believer, because my life now is proof that quality oils can provide natural relief and help for a huge variety of ailments, including feeling anxious. Essential Oils have been a part of human culture since before the Pyramids. Did you know we have evidence of Roman, Chinese, Egyptian and Greek civilizations using oils for everything from cooking to perfume to healing the sick and enhancing the mood dating as far back as 3000 years ago? Why do you think essential oils been used for thousands of years and are growing in popularity today? It’s because they’re derived from plants, which means they’re natural and I can pronounce the words without calling on Alexa for help! And our bodies intrinsically know how to interact with plant based materials so no warning labels or scary side effects. Dating back to ancient times, waaaaaay before bath bombs and Chanel No. 5, Lavender remains the most popular essential oil. Centuries ago Egyptians and Romans used Lavender for bathing, relaxation, cooking, and as a perfume. When taken internally, its calming and relaxing qualities continue to be Lavender’s most notable attributes. Add it to bath water to soak away stress or apply to the temples and the back of the neck. You can also add a few drops of Lavender to pillows, blankets, or the bottom of your feet to relax and prepare for a restful night’s sleep. A couple of years ago, a small study in the journal Phytomedicine determined that long-term chamomile use significantly reduces moderate-to-severe symptoms of generalized chronic feelings of anxiousness. Second only to lavender, Rose is probably of the most popular oil for helping with anxious feelings and self doubt, promoting calmness, and uplifting the mood during periods of grieving or shock. Ylang Ylang essential oil is derived from the star-shaped flowers of the tropical Ylang Ylang tree. It is used to lessen tension and stress and to promote a positive outlook. It’s also one of the oils that has been used in the earliest mentions of traditional Chinese medicine. Due to Vetiver’s calming, grounding effect on the emotions, it is an ideal oil to use in massage therapy. It can also be rubbed on the feet before bedtime to promote a restful night’s sleep. Research also gives credit to vetiver for helping to relieve symptoms of attention problems and difficulty focusing. Renowned as one of the most prized and precious essential oils, Frankincense has extraordinary health benefits. When inhaled or diffused, Frankincense promotes feelings of peace, relaxation, satisfaction, and overall wellness. Bergamot is unique among citrus oils due to its ability to be both uplifting and calming, making it ideal to help with anxious and sad feelings. If you want to purchase these 7 oils, or any combination of them, click here. Simply put, one of the easiest and most effective ways to use essential oils is by smelling them. When the smell of an oil is inhaled through your nose, molecules enter the nasal cavities and start a firing of mental response in the your brain. You can use oils aromatically by opening up a bottle and inhaling, or by using a diffuser. Diffusers that use cold air or water are ideal and allow you to enjoy the scent and the benefits of the oils on a longer term than smelling them from the bottle. Essential oils have low molecular weights and are lipid soluble, which means that they easily penetrate your skin. Once they’re absorbed, they stay in the applied area for a localized benefit. You can also apply the oils with a light massage which stimulates blood flow and in turn improves the distribution throughout your body. Safety is key once you start using the oils on your body. To diminish the likelihood of developing a skin sensitivity, it’s recommended that you use a carrier oil (such as Fractionated Coconut Oil) when trying an oil topically for the first time. 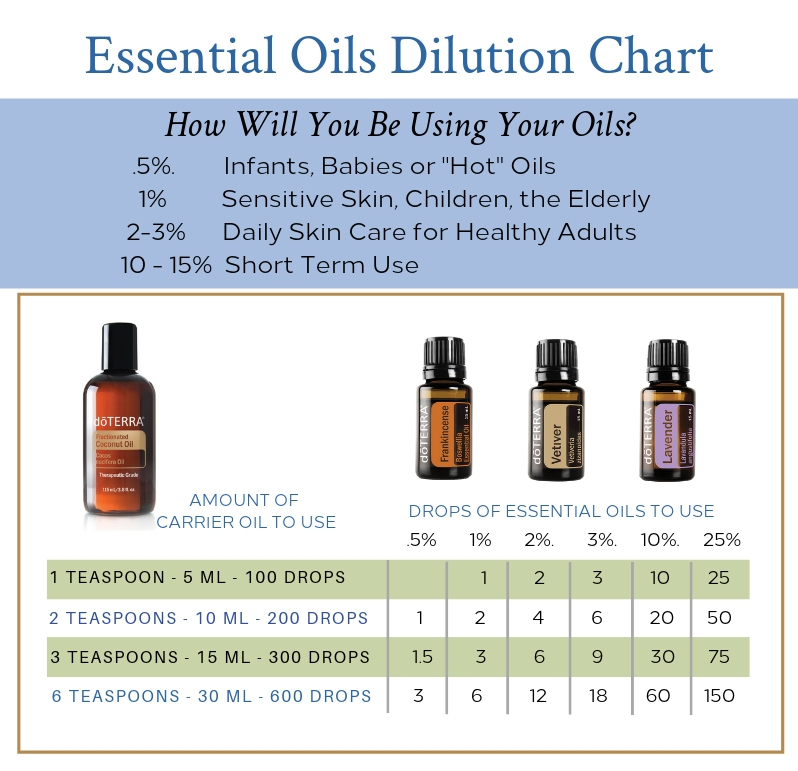 The recommend dilution ratio is typically one drop of essential oil to three drops of carrier oil. 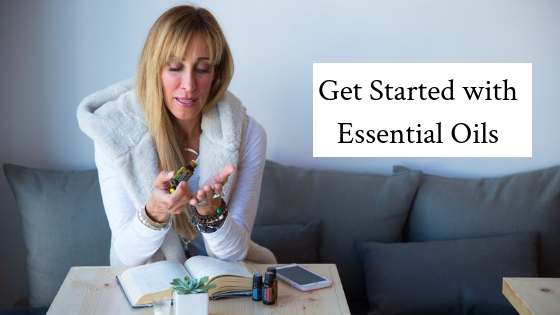 In their concentrated form, essential oils can be used as dietary supplements for more targeted and potent health benefits. Internal use is a very safe and effective method of application because of the sophisticated physiologic processes of our bodies. Like everything that enters our bodies, essential oils are metabolized by the liver and other organs and are then excreted naturally. When ingesting oils, or anything else for that matter, proper dosing according to labeling recommendations and professional guidelines needs to be strictly followed to avoid toxicity. I’ve been using essential oils for pretty much Everything over the past decade. I’d love to answer your questions and help you find the best way to start incorporating their naturally healing and restorative properties into your daily life. If you want to learn more about me, doTERRA, or essential oils come visit my online educational site. When I’m not traveling the globe educating people about the amazing benefits of essential oils or hanging out with my husband and two daughters, I’m busy trying to make an impact in my world as a double Presidential Diamond Wellness Advocate with doTERRA. So much of what I’ve learned about these incredible oils has been because of my partnership with doTERRA and I am completely convinced that they offer the highest quality, purest, most customer centered oils in the world.